How Do I Finance a Graduate Degree in Human Resources? Perhaps the most challenging part of moving beyond an undergraduate education is finding the appropriate way to finance a graduate degree in a field like human resources. While undergraduate students often receive a robust financial aid package from their school that includes student loans, scholarships, grants, and work-study opportunities, many graduate students quickly find that the offers of financial support are nowhere near as generous at higher levels. The good news is that graduate students in human resources, and virtually every other academic area, are not out of luck. Plenty of ways exist to finance these degrees, making them accessible to the masses. The Stafford Loan program isn’t just for undergraduate students pursuing their first degree. 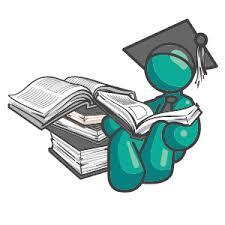 In fact, the program covers all levels of study, including graduate, professional, doctorate, and medical degrees. For students considering a human resources program, this is very good news. Unlike at the undergraduate level, those students who are considering Stafford Loans will not need face loan limitations based on their status as a dependent or independent student, making it easier to borrow the larger sums often needed to cover higher per-credit costs at the graduate level. In order to qualify for Stafford Loan funds, students will need to file the Free Application for Federal Student Aid, or FAFSA. This time, students are all considered independent, so there is no need to submit a parent’s financial information as part of the process. Once the application is completed, submit it to the institution that will be offering financial aid. Federal guidelines allow graduate students to borrow up to $20,500 per year of study, with a maximum lifetime loan limit of $138,500 for students who study beyond the undergraduate level. Graduate programs are primarily funded by employer contributions or student loans, but that doesn’t mean there aren’t other options available. Full-time students with a stellar academic record often qualify to take part in on-campus assistantship programs, which provide a monthly stipend for work as a graduate teaching assistant or a research assistant in the campus’ labs. Research grants may also be available for some students, provided they study certain topics and log a set number of hours performing research each week. In addition to these popular programs, which allow students to work, study, earn, and build a powerful resume, graduate scholarships are also a great way to pay for a degree in human resources. The graduate school itself may offer scholarships, but this is less common than finding private third parties who provide funds to qualified students. Scholarships at the graduate level resemble their undergraduate counterparts, determining eligibility based on a student’s background, achievements, academic record, life experiences, career, and much more. These valuable programs should take precedent over student loans if at all possible, since they will enhance the return on investment that students will enjoy at the completion of the graduate program. Whether it’s a monthly stipend, a generous scholarship, a research grant, or a traditional student loan, students who are pursuing graduate studies have many ways to help the degree be more affordable in the end. When seeking ways to finance a graduate degree, simply remember to apply early, prioritize scholarship opportunities, and turn every funding opportunity into a valuable form of experience that will bode well for employment afterward.